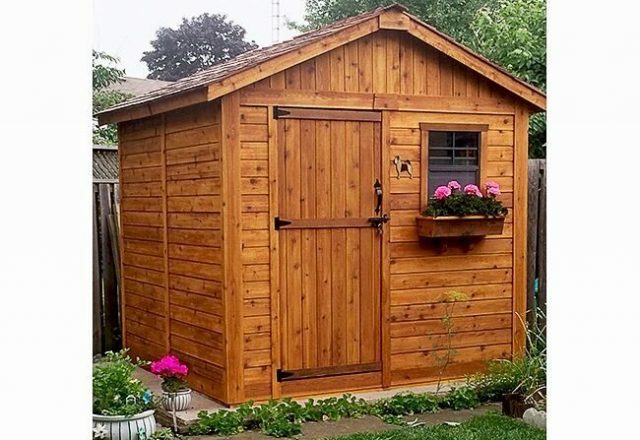 The Gardener’s 8 x 8 Cedar Shed comes with a pre-cut window, pre-cut wall and door panels, a pre-shingled roof and all the hardware you need. 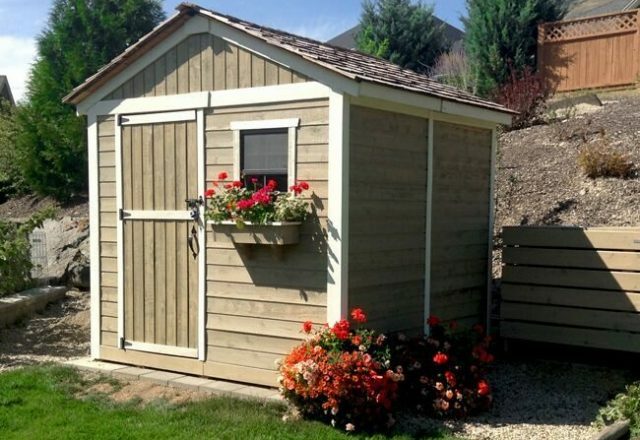 The Gardener’s 8 x 8 Cedar Shed comes with a pre-cut window, pre-cut wall and door panels, a pre-shingled roof and all the hardware you need. 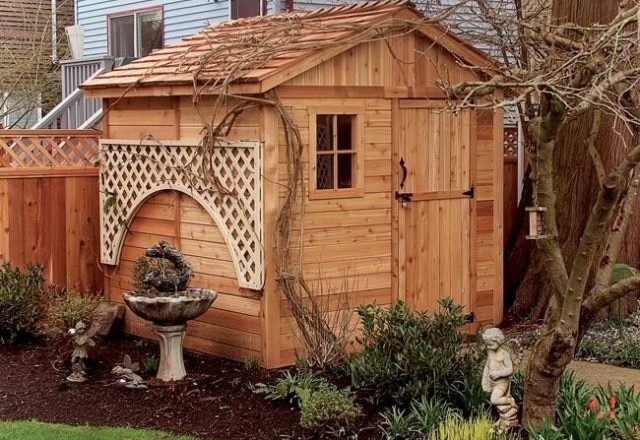 In no time you’ll have eight square feet of storage space plus the added beauty of natural wood in your outdoor space. 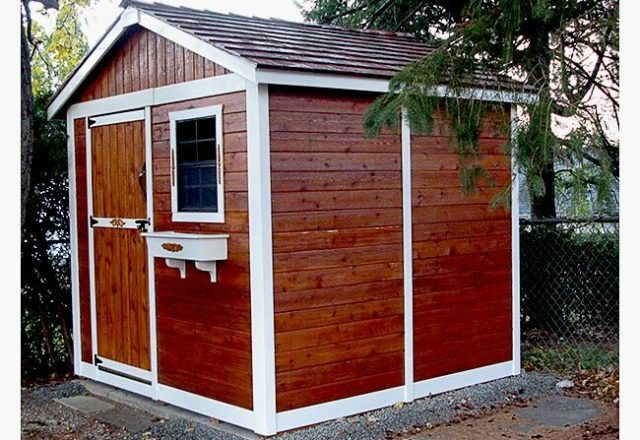 Even the inside of the Gardener’s Shed is attractive thanks to the pre-applied mahogany veneer. 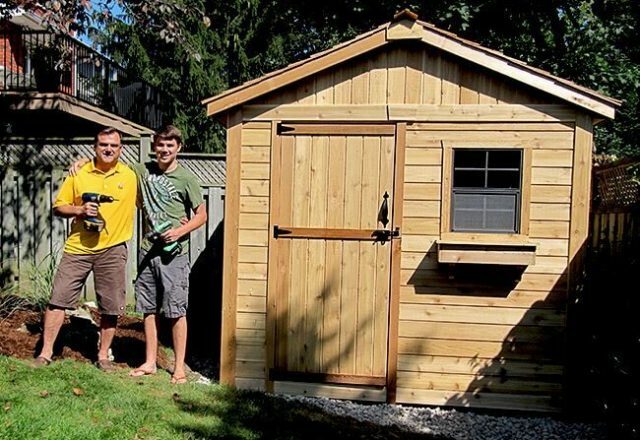 Your gardening tools and supplies will fit perfectly in this shed. 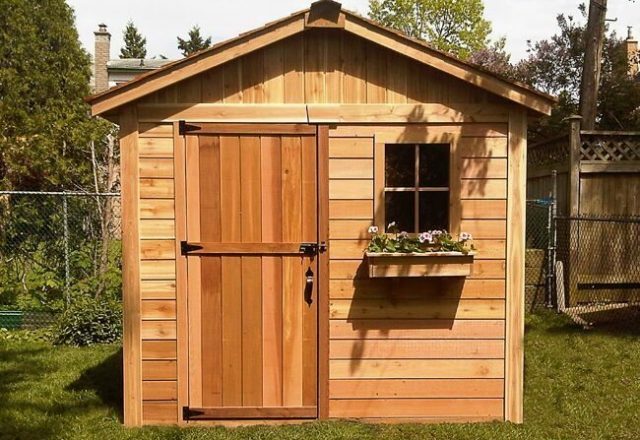 The Gardener’s 8 x 8 Cedar Shed includes a solid door and one window. 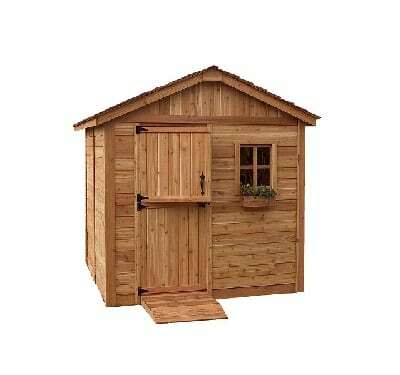 Its 2 x 3 frame construction and natural Western Red Cedar panels make sure it’s built to last. Size: 8 ft. x 8 ft.
Outside wall depth: 93 in. Outside wall width: 98 in. Shipping pkg. size: 52 in. x 30 in. x 88 in.